When it comes to the break down of a relationship that culminates in separation and divorce, the division of property, assets and accumulated debt can become a real sticking point for many former couples. Divorce is stressful and emotional enough as it is without the burden of having to negotiate over material goods and finances, much of which might have been a major thorn in the side of the relationship and the very catalyst for the breakup. In this post we’ll briefly cover some helpful tips that are designed to reduce the stress levels during this sometimes difficult process and make for a more amicable settlement. If you are going through a divorce or de facto separation, or you believe you’re on the brink of doing so, then seeking professional legal advice from experts in family law is the wisest course of action. You will want to know exactly where you stand with everything regarding your combined assets and liabilities, so you won’t be left in the dark. Understanding your rights and what you’re entitled too will lift a great burden from your mind, so you can at least be clear about that particular aspect of the separation process. This point will obviously be dependent on whether a prenuptial agreement was in place at the start of the relationship. If there wasn’t, then it’ll be a moot point. 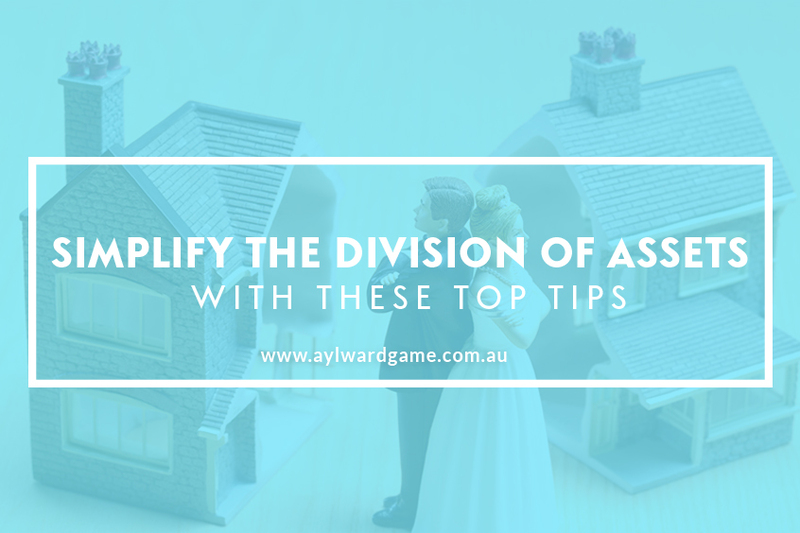 If you and your partner did have a prenup in place, then the process of dividing assets, land, possessions, finances and liabilities will be simplified no end. It will speed up the entire process, allowing both you and your ex partner to get on with other things. In the heat of the moment, when emotions are very raw, many couples can be prone to either greed, or wanting to have more than their fair share simply out of spite. There are really two choices here. You can try and keep the split as fair and civil as possible. Or, if that’s just not going to happen, then the division of assets will be settled in the courts, making the process more stressful and more expensive. Not everyone is able to think logically during an emotionally charged separation, but if you can manage to keep personal vendettas out of the equation, the easier the process will be. No doubt most people would prefer a peaceful mediation to determine the outcome of a property settlement. It’s a far more preferable proposition to battling it out in the courts. With the help of a family law specialist and expert mediation, you should be able to avoid going before the judge. And that’s really the best overall outcome. For the fairest and most stress-free resolution to a property settlement, seek mediation through a specialist family law firm. In Brisbane, the team you can count on to get results is Aylward Game Solicitors.